"I just made this up one day with the ingredients I had. 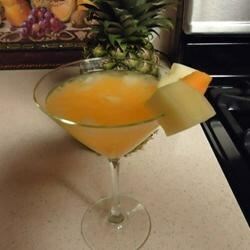 With the martini craze, I decided to call it an orange martini, but it is just a good tropical drink for a summer day." Pour vodka, triple sec, sour mix, and orange juice over ice into a cocktail shaker. Affix the lid, and shake until the outside of the shaker has frosted. Strain into a highball glass filled with crushed ice, and garnish with a slice of orange. This is great! I switched the sweet and sour and orange juice amounts as I don't love sweet and sour mix.